The Division of Compliance Assistance and the Operator Certification Program would like to announce the establishment of the Steve Crosman Award for Outstanding Environmental Professionalism. 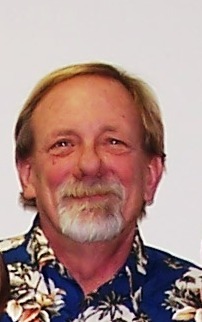 Steve, a trainer with the Certification and Licensing Branch who passed away in December of 2011, specialized in water systems operations and was well-known and respected in the water and wastewater communities. The purpose of this award is to recognize those individuals who value the operator profession as much as Steve did. 1) Be an operator certified by the Division of Compliance Assistance. 2) Have maintained a license in good standing for the past five years. 3) Have substantially enhanced the operator profession and Kentucky’s environment through voluntary actions, such as mentoring other operators, educating the community about topics important to the profession or engaging in environmental projects that enhance the quality of life for Kentucky citizens. Nominations will be accepted through email to envhelp@ky.gov or by U.S. mail to 300 Fair Oaks Lane, Frankfort, KY 40601. Nominations will be accepted from Oct. 1 through Dec. 31 at midnight. For more details or to access the nomination form, click here or go to DCA.ky.gov. Any questions may be directed to envhelp@ky.gov or by calling 800-926-8111. This entry was posted in Julia Kays, News & Events and tagged award, drinking water, solid waste, wastewater. Bookmark the permalink.